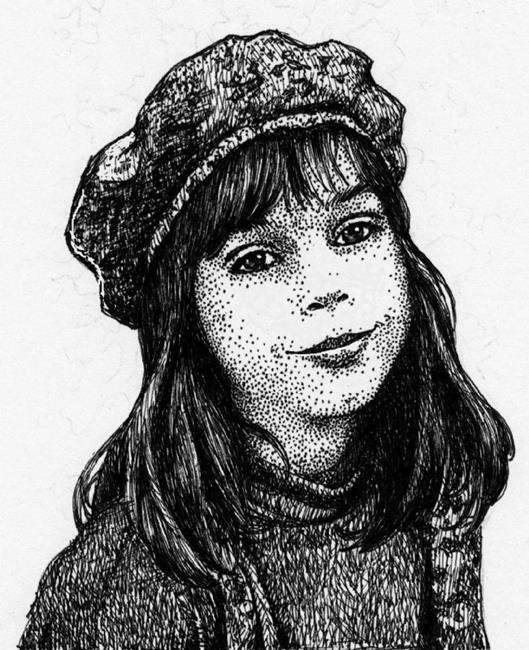 I did this pen and ink drawing from a photograph I took years ago of my now grown daughter. It has always been my favorite. She was a young girl, but you can see the glow of approaching womanhood in her face. Working with pen and ink can be difficult, as it's an unforgiving medium...every stroke you take is permanent. It can be bold and sharp, but it can also be used to create something as soft and tender as the skin of a girl's face. I'm putting this in a frame she gave me as a special gift one Christmas..I've looking for just the right thing to put in it and now I've found it. As I was finishing up this drawing, I realised that the lovely spot I used as a backdrop for this image was also the same place that my husband proposed to me years later. It made me smile.